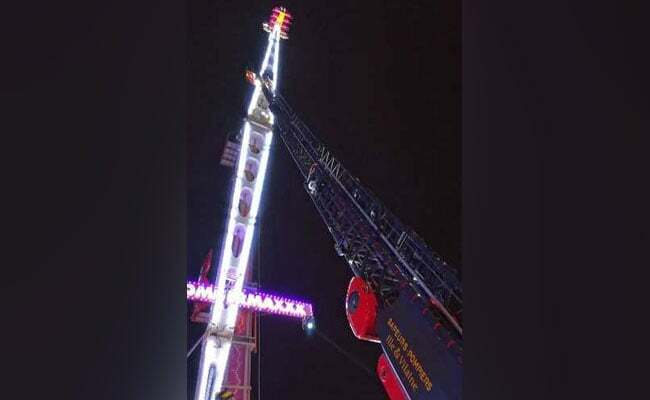 Five teenagers, Antoine and two other adults had climbed aboard the 52-metre metal arm called "BomberMaxxx" for a spin above the town centre during the evening. Fire brigade personnel conduct rescue operations after 8 people got stuck high on a giant funfair ride. It was only supposed to last a few minutes for a thrill on New Year's Eve, but eight French people ended up spending the night stuck high up in the air on a giant funfair ride. "It was long, it was cold and it was frightening," said 23-year-old Antoine, wrapped in a survival blanket around dawn Tuesday. "I never thought I'd get out. It was very traumatic," he said after the fire brigade brought an end to the nine-hour ordeal in the Brittany city of Rennes. "We saw sparks, heard a big metal noise and feared the worst," said Beatrice, mother of 13-year-old Louna. The ride's owner Alexandre Thinel said "a new part broke and it blocked". 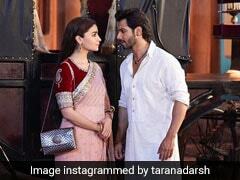 "It's a technical incident that has never happened before. "Fortunately there was no danger to clients. The only problem was getting them down," he said. Firemen made several attempts to extract the revellers but their 30-metre ladder was too short. A helicopter was later called in and the first to be saved was winched up to the helicopter just before midnight. Then over several hours a rope system was set up to help evacuate the others one by one. In the early hours of the morning a fight broke out between the families and fairground workers. Teargas filled the air but it was unclear who used it. The last person to be saved touched the ground at 6am (0500 GMT). "Next year, I'm staying at home with my champagne and biscuits," said 47-year-old Nicholas.